Are Wine Wipes genius or just another gimmick? 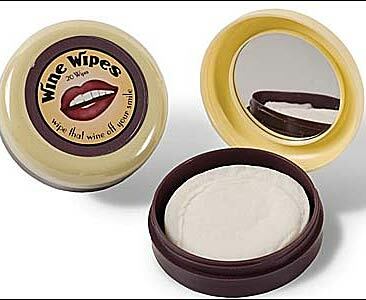 Drinkers of red wine can either rejoice or cringe at a new product called Wine Wipes. After a swipe across your teeth, these petite wet wipes are supposed to get rid of that deep red film that can stain your pearly whites — and spoil your looks — after you’ve had a couple sips. Boozenews: We fall on the ‘cringe’ side. As bad as blowing your nose in a cloth napkin.